Making a quick and healthy lunch is always a challenge in my house. I am always running around during the middle of the day trying to finish up cleaning before I have to pick up the kids from school so lunch for me is usually a boring salad. I am trying to switch things up which helps me stay focused with my weight loss this year. 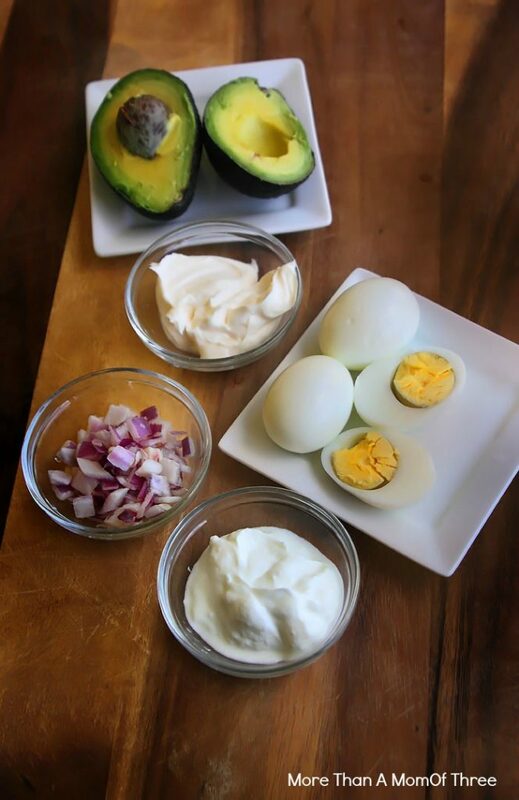 This light Egg and Avocado Salad is perfect since you can make the hard boiled eggs a head of time and then just mix everything together when you are ready to eat it. Not like a traditional egg salad this uses Greek yogurt with the mayo. It will cut down the fat of the mayo making it light and delicious. No guilty seconds here. 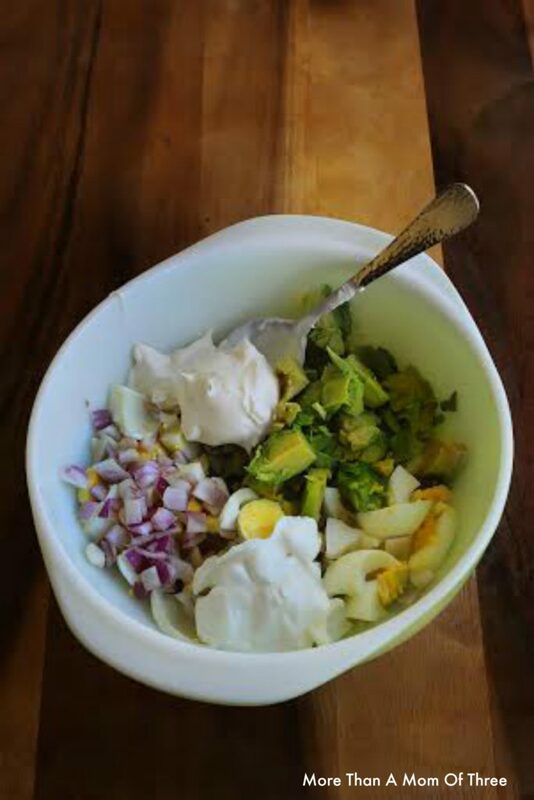 My kids are not egg salad fans but when I make this Egg and Avocado Salad, they all always ask for some for lunch. I will be serving this over the summer for those hot days hanging out with them outside in the pool and sprinkler. 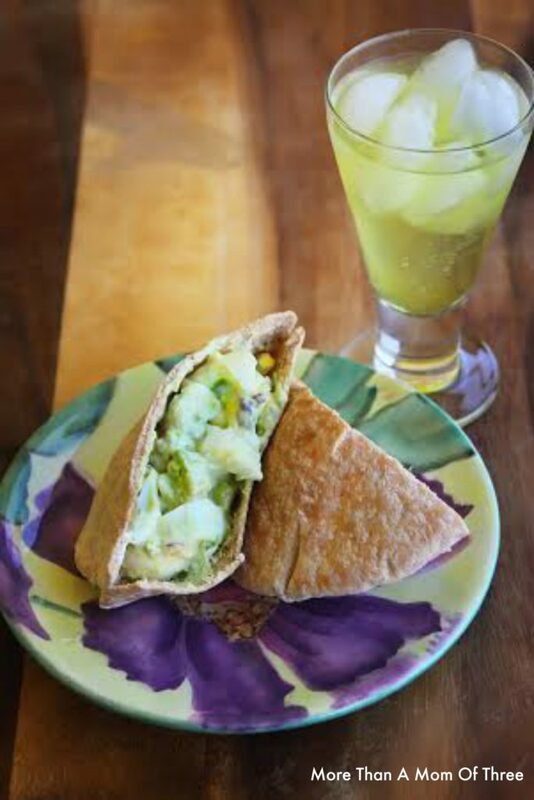 Makes a perfect summery lunch option for everyone. Place eggs in a saucepan and cover with cold water, approximately 1 inch above eggs. Bring water to a boil, then remove from heat and cover with a tight fighting lid. Let eggs stand in hot water for 8-9 minutes. Cool by filling pan with cold water to stop cooking. Peel eggs and chop into small pieces. 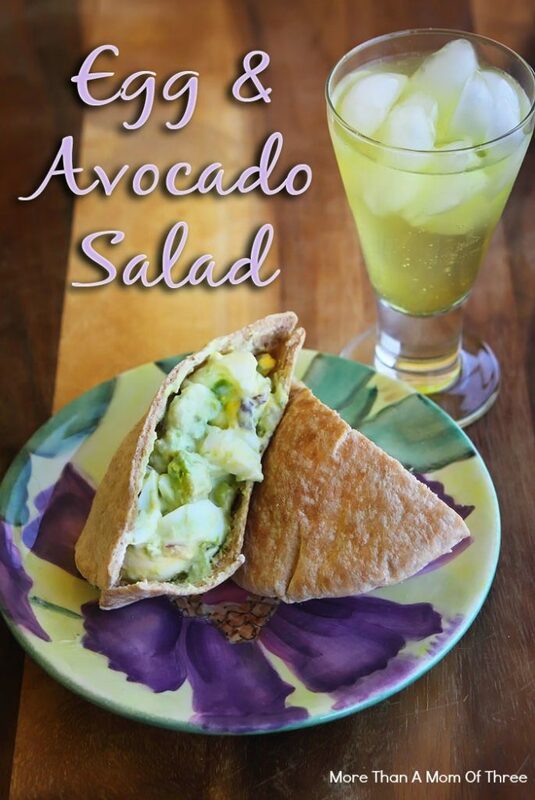 Optional: Squeeze a little lemon juice on your avocado to help keep it from turning brown. Then mix all ingredients together in large bowl and chill.